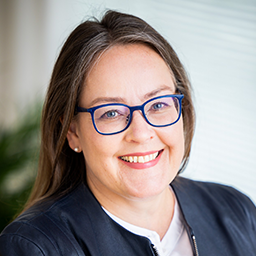 Tiina Suomela is responsible for developing policy frameworks to ensure strategic and operational legal compliance in Data Protection, IT, and Intellectual Property law as well as healthcare compliance. She has held global in-house roles in legal, compliance and privacy for businesses and brands that operate worldwide. Tiina sees the role of legal counsel as a business operations partner who develops the organization’s legal obligations into legal assets that help these businesses strategically advance into the future. Being fascinated with how the law could support businesses of the future from early in her career, she has been advising on data protection compliance since 2000 and has served as In-House Counsel to companies active in the IT, Internet, service and medical device sectors. In addition to her IAPP certifications (CIPM, CIPP/E) she is a certified German data protection officer (UDIS) since 2003. To encourage legal compliance buy-in business-wide, Tiina is an advocate of best-practice sharing through professional networks, and is responsible for several hands-on legal and compliance trainings, from conception to delivery. She is a trainer for the IAPP CIPP/E certification in Switzerland as has served as Co-Chair of the IAPP KnowledgeNet Switzerland. Tiina lectures in the Advanced Studies “In-House Counsel” certificate program as a member at University of Zurich Law Faculty. She holds a postgraduate certificate in Information Technology and Telecommunications law from the University of Strathclyde in Glasgow, an LL.M degree in International contract and commercial law from the University of Helsinki and a law degree of the University of Frankfurt am Main.